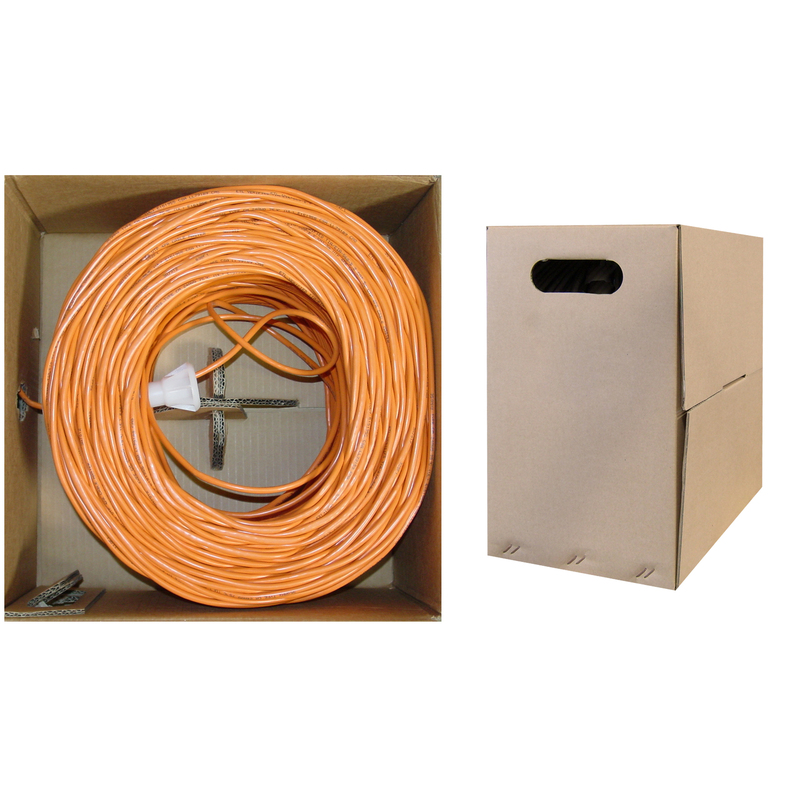 This Orange Bulk Cat5e is offered in 1000-foot pull boxes. 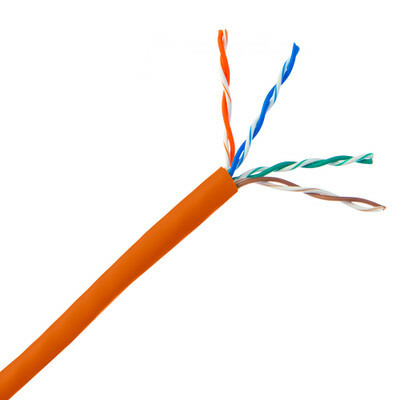 It is unshielded twisted pair (UTP) that is plenum rated (CMP). Each of the wires in the cable is solid 24 AWG (American Wire Gauge) pure copper.